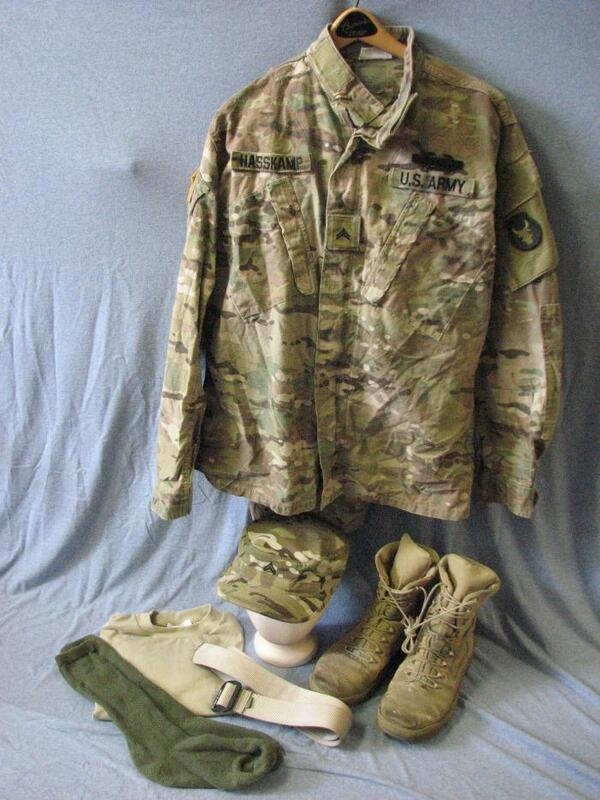 Army "Multi-Cam" uniform, used by Nicholas Hasskamp, who served from 2011-2016. He wore this particular uniform when he served in Afghanistan and also during his time in the national guard. The Multi-Cam uniform became the official uniform pattern for the army in 201, but had been used in limited situations prior to that. This uniform includes the top, pants, t-shirt, cap, belt, socks and boots. The top has Velcro patches for changing insignia. Nick was a member of the 2nd Cavalry.